Last November I asked officers to look into the problems caused by delivery vehicles obstructing Theale High Street by double parking. In particular, the problems caused by the large lorry that delivers flowers to the flower shop on Tuesday evenings. I asked them to look into the possibility of introducing time limited loading bays. Officers agreed to investigate. I received complaints last night about the flower lorry blocking the access to Cumber Hall, which was being used at the time by cub scouts. I have therefore chased the officers to do the investigation and give me an update. Alan Macro, Liberal Democrat spokesman for Housing and Planning on West Berkshire Council, is dismayed that homeless families from West Berkshire are being put up in bed and breakfast accommodation in Slough. He said "putting up homeless families so far away is very distressing for the families. This is especially so for the children as their schooling is extremely disrupted. The families are also a long way from their families and friends". Taceham House in Thatcham used to be used to house homeless families. However, Conservative-controlled West Berkshire Council allowed it to stand empty for over six years before putting it up for sale. Planning permission was granted months ago to replace it with affordable flats. However, protracted negotiations between the Council and a housing association means that the block has been neither re-developed nor available for homeless families. The 37 empty affordable flats at the Parkway shopping centre were completed over 18 months ago but are unlikely to be available for occupation until the autumn. 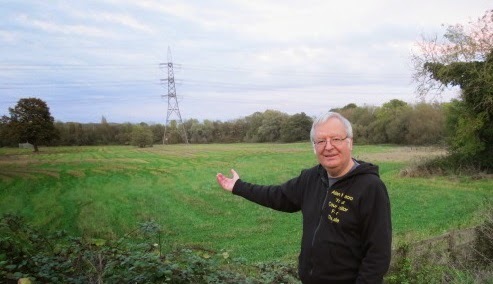 Tory West Berkshire Council has allowed this awful situation to develop by drawing up poor legal agreements with the developer and taking an extremely long time to take action, ineffective so far, to try to get the flats occupied." Judith Bunting, Liberal Democrat Parliamentary Candidate for Newbury, will be asking a question about the Parkway affordable housing scandal at the meeting of West Berkshire Council on March 3rd. Judith commented that "You have to question why this Council is sending people in need away from West Berkshire. Relocating individuals and, especially, families so far from their established support networks is unreasonable and counter productive." Outline planning application 15/00304/OUTD to build a house behind Greystoke in St Ives Close, Theale, has been submitted to West Berkshire Council. "Greystoke" is the last bungalow on the right as you go down St Ives Close. Access would be from the lane that leads off The Green between number 19 and Horsemans Coaches. The application is outline with "all matters reserved". This means that the application is only for the principle of building a house on the site. The design and details of the access would be decide dby another planning application if this one is approved. You can see the application form, etc., and plans showing details of the site by clicking here. One set is outside the Co-op, where BT are laying cable ducts in the footway and in the road. The other set is between the railway bridge and Arrowhead Road and is to allow streetlights to be replaced. Network Rail will carrying out piling work along the railway past Theale over the next three months. This is part of the work to install overhead cables for the electrification of the railway between Reading and Newbury. Work will not affect Theale every night. The application is for the change of use from public house to residential use and the demolition of the former skittle alley and outbuildings, these to be replaced with a new two storey side extension comprising an additional 8 dwellings. I have "called in" the application to be decided by West Berkshire Council's Eastern Area Planning Committee if planning officers recommend it for approval. Alan Macro, Liberal Democrat Spokesman for Housing and Planning on West Berkshire Council, has slammed the Council for "spin" in a Council media release about the timetable for the allocation of housing sites. He said "from their self-congratulatory media release, you would never guess that the date for submission of the housing sites has been delayed by at least nine months. They originally aimed for the Council to agree on which of the sites should be selected at its meeting last December. Now they are aiming for this autumn. What is worse, they refused our request to allow a couple of extra weeks for people to respond to last summer's consultation because a decision was "urgent". We wanted that extra time because the consultation period was over the school holiday period and we wanted everybody to have the opportunity to fully look at the proposals and comment on them. We now know that claim of urgency was hypocritical". He added that "the affected communities will now be in limbo for months because they will not know if sites near them will be selected for housing. The Council really ought to have put more resources into processing the consultation responses to avoid this long delay". West Berkshire Council today issued a press release about the allocation of housing sites that included the claim "West Berkshire Council is now able to set the timetable, as the process of analysing more than 8400 responses from members of the public on the first draft of the ‘Housing Site Allocation Development Plan Document’ is progressing well." The reality is that the approval of which sites are to be selected for housing and submitted to a planning inspector has been delayed by at least nine months to the autumn. The delay means that the affected communities will now be in limbo for months because they will not know if sites near them will be selected for housing.